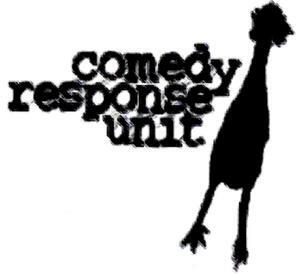 *** Comedy Response Unit closed it's doors in the summer of 2002 *** Centuries ago, long before the dawn of history, a furtive and introverted people erected a statue. Massive and ominous it stood among the green pastures of the unknown knolls of Pangea. For those who idolized it, nourishing rains and bountiful harvests permeated the lands, and those people, unnamed even in our own lifetime, lived a life bordering on hedonism. But for those who disparaged it, it brought minor annoyances like the dreaded hangnail and often-difficult-to-get-rid-of cankersore.